Let’s say you have a certain product that you need to capture additional information for at checkout. Using WooCommerce we can add fields to the checkout based on nearly any conditional matches. For this tutorial we will be using the premise of a book seller. Let’s say that the store owner wants to add an option at checkout for the user to choose whether they would like the book inscribed with a message from the author. WooCommerce is filled with many useful hooks to tie into with our code. The checkout action we will be using for this tutorial is woocommerce_after_order_notes which will allow us to add our custom fields directly below the “Order Notes” field in the checkout form. If you would like your fields to display elsewhere there are a number of additional hooks you can use such as woocommerce_after_shipping_calculator and woocommerce_after_shop_loop. Make sure you update the product ID to whichever product you are adding the conditional field for. You can update this to test for multiple products, a category of products or variation. Now check out the cart page and you should see the fields added below the checkout. Here’s what my checkout fields look like with some additional styling. Tip: Check out the woocommerce_form_field function within WooCommerce to modify the fields to a textarea, select, etc. Now that our fields are displaying properly we need to save them to the order meta when the order goes through. We will again use a WooCommerce hook to do this called woocommerce_checkout_update_order_meta. Now that the data is attached to the post you can do whatever you like with it. Most likely the shop owner is notified of orders via email. What we want to do is send our custom field data along with that email so they can fulfill the order accordingly. 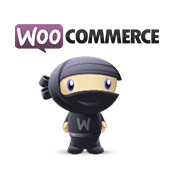 We are going to be using a filter called woocommerce_email_order_meta_keys to send our data along with the email. Again, we will first check the the order does contain the product because we don’t want to clutter up the email with blank custom fields. 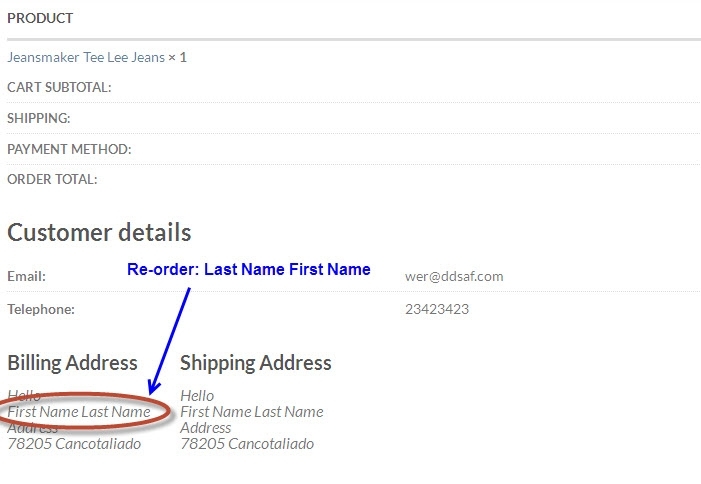 With conditional checkout fields in WooCommerce there is a lot of potential use cases. For instance, you can ask a user to sign up to a specific mailing list based on their product choice, ask for additional shipping requirements or special handling questions, or request additional information from the user. The system is setup to be very flexible, you just have to know how to use it. If you have any comments, feedback or contributions please use the comments below. Spot on Devin! very helpful. In this example, the conditional checkout field is contingent on products. Is there an easy way to make it conditional on the user role? Hmm, I haven’t looked into it based on User Roles. What does that checkout flow look like? Are most users not-logged it when they checkout? If they are logged in then you want to capture their user role and display certain data? Exactly. Really, I’m trying to customize the contents of the confirmation email when a purchase comes from a specific role. Since check out information is included in the email this seemmed like a possible solution. i really know where did you add the jquey code. How would I modify this to test for a category? I thought I had it, but then it broke my gateway form. I copied your code to my functions,php. Say my Category is called Tickets and the id is 13, where should i add this? I am using a 1file plugin which adds extra fields for attendees to the checkout field. The problem is these fields are added even when a non ticket product is bought. I want this to only show when a product in the cart is in the “ticket” category. Hi. Let me try to help out. The plugin code is incomplete so it’s hard to tell you exactly. Please use http://pastebin.com and post the link. Thanks very much Devin! That helped me a lot. Well, I got stuck on the jQuery in the third step. I’m using Thesis rather than a WP theme, and I know where to put the actions and functions, but I’m not sure where the jQuery is supposed to go. I have it as a called script in my Head Scripts as per this link – http://www.freezecoders.com/2013/12/how-to-use-custom-jquery-code-in-wordpress-thesis.html – but it’s not working. Help? Yeah the jQuery should work fine in the head. Did you test it with the alert in the example look to make sure it’s working? Does the jQuery selector match the element you wish to show and hide? Yep, tested it with the alert, and changed the selector to match my modified functions. Everything *seems* to be right, which is why I was confused. jQuery is really not my thing, so I’m wondering if I just have bad syntax in the head somewhere? This script is inserted AFTER jQuery, correct? You’re fields are on the checkout screen but simply not showing/hiding as expected? The jQuery part should be the easier part to configure with the setup. Did you ever figure this out? Currently working on the same exact issue on checkout page. There most likely is indeed a script conflict, but I just don’t know enough to fix it. I kind of think it’s a problem with Thesis. Sorry, wish I were more help, but we ended up going a different route altogether. It’s all good. It seems like the “Create an Account” checkbox uses the logic I want. I’m going to keep tinkering and let you know if I find anything. How can the conditional (toggled) field be REQUIRED, but of course only if it’s visible? You can use jQuery to do that… if the field is visible check to see if it has a value, if it doesn’t then prevent the form from submitting and display an error message. I have the code below running and it hides the text box, I am trying to get the text box when displayed be a required field though please and do not see how in the current responses? 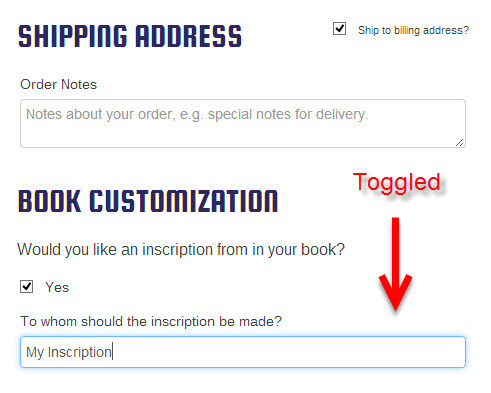 In your example, if someone ordered two (or more) books, and wanted a different inscription in each, how would you check the quantity of books ordered, and then display the correct number of fields? Excellent question. You would have to check the user’s cart object to see how many of the specific product (in this case a book) they have added. Then you would look through this number to output the appropriate number of inscription fields. The reveal and hide logic would also need to be updated to account for multiple fields. This adds a level of complexity that may be a good idea for a follow up article. Hi, Ive been trying for days, and had help from Aleksey Napolskih, but still battling. How do I go about making the attached code / dropbox link, to show confitional if a certain product with say id 232 is in the cart? Thanks for this excellent tutorial. While there are paid plugins that make this easier, this tutorial is great for those that like to “bake in” functionality to their site theme. I was able to collapse multiple checkboxes into a single field in the order meta which was very nice and something I don’t feel like spending money to find out if it’s possible in some “Pro” plugin version. How to conditionally hide some of the checkout fields when there are just virtual products in the cart? It’s obvious that I need all the fields when there are both virtual and non-virtual products in the customer’s cart. How do you update this to use multiple variation ids as the condition? Did you ever find a solution with multiple? I’d love to be able to hide multiple forms. No, I posted something a question on StackOverflow: http://stackoverflow.com/questions/26270781/woocommerce-variable-checkout-fields-base-on-variable-id but no one ever commented. I’m trying to figure out how you use the variation ids. It’s possible to create a custom field that depends on the gateway choice? Hi gianni, I am looking for that right now. Did you figure it out? Hello, this is saimon from gadgetghor.com . I use woo-commerce but now I am unable to do this things..
Hi tanks for the snippet, I’m also trying to adapt this for product categorie instead of product ID but i can’t achieve it. Could you help ? thanks a lot. Hello! Please forgive me if this was covered, but I can’t seem to find the information in this article or the comments. What file is/files are being modified with the above code? I would hate to add all this information to the wrong file. Thank you!! This is exactly the issue I’m having. How did you solve it? Unfortunately, I know just enough code to make me dangerous and I could only get the code to extra fields for ONE product. I have no idea how to apply it to more than one product. Here’s how I modified the code for my particular product, and you’ll see I got daring and added a few options/fields. Yeah, I’d gotten that far as well. Same thing…I know just enough to be dangerous, not enough to figure some things out. I need it to apply to an array of items instead of just one. But thank you. I appreciate it. YAY!!!!!! I did it!!! Thank you so very much for your help and this wonderful tutorial!!!! MWAH!!! Hi Five!! One more question: My client now wants me to modify multiple products. How do I add the multiple products? Can I just list them as commas? Like this? Or would I put a new line for each product? Thanks so much for the code. I can’t get this to work with the if book_in_cart statement in function wordimpress_checkout_field_order_meta_keys. if I remove the check book_in_cart, it works fine. But when I use the check book_in_cart it does not add the information to the email. Anyone else have this problem? Hi Devin, I’ve been working on similar to your example, I have two fields that on their own work as expected but when both are present they almost seem to be acting as one or only my first condition runs, is this something you’ve run into before? Hi there….Very interesting post.. I have one question, because I’m facing difficulties with the jQuery function as the input form doesn’t show up when i click on checkbox. Where should i add this jQuery code? Is there any additional code that i should add in order to show this input form? This is definitely possible! Best bet is to custom code it for your particular needs. but something goes wrong with my code, could you,please look at my functions.php file? Can i send it to you via e-mail? Really just struggling with how to set this up for an array of products instead of just one. Or even an array of categories would be nice. Help?? I first tried the “jQuery” as “$” and that didn’t work either. Should I be putting this somewhere else? Thanks in advance. You need to wrap the code in a document ready statement so it can execute properly. Ahhhhh! Thank you. It’s now working GREAT! Now if I could just figure out how to have this work for an array of products instead of just 1, my task would be complete! Could this be adapted so that the customer could pick a number from a drop down (e.g. 1-10), which would then create that number of empty fields for the customer to fill in? I am trying to this for a website that does group bookings and needs the customer to fill in the names, ages, and other details of each attendee. Yes it definitely could be, but would require some significant changes to the code. A decent enough WordPress developer could get that done in a few hours. Thanks for the quick reply. Any idea where I could source someone and a rough estimate of cost? Freelance.com or a WordPress specific development shop would be glad to take it on… average developer costs anywhere from $50 – $200 / hr. Hello Devin and rest of the people!! I´m trying to go little bit further, I hope you or someone can help me. The thing is, I´m trying to use this code to have custom field on woocommerce bookings, depending on the quantity of people, At the moment, it almost works, it is multipliying de fields, but, I can not make it to be saved on the order and sent by email. I am looking for this exact functionality and wondering if you ever got it to work? Is it possible to have different checkout fields for different product? For example, i want customers to upload their scanned ID for this one particular product. Not all product. It certainly is… you would simply need to query the user’s cart items first to see if a specific product is added and then write a conditional check to verify that before any fields are added. How can the form be validated. For example – if inscription-text=1 (is checked) and inscription-textbox is visible, don’t accept the form without the text in the box. 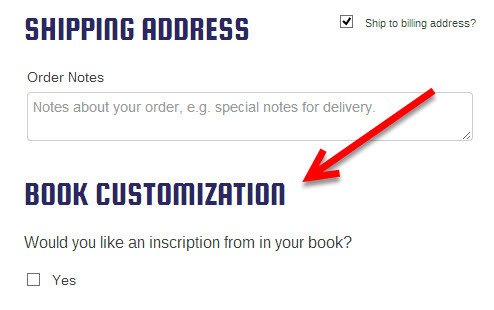 How about using conditional fields to confirm the shipping address. Is this possible? I created a dropdown question (Do you have insurance?) to our checkout page. I am trying to do some conditional logic like, but not related to a product, just about this first question. Any thoughts, tips, recommendations or responses WILL BE APPRECIATED ! Hello. I put the code ok for one product, but now i want to put another conditional checkout fields for anothe product. I dont´t how to do it. Works awesome but any idea when I try to add the post meta data and email data it returns …. Array and then has the shows the data?? This works perfectly. Is there a function to allow the custom field data to show up on the WooThemes Print Invoices plugin? Hey, thank you for this, exactly what I was looking for ! What would be the proper syntax to add a select field instead? Nevermind, I found a way to make it work! Also added a line if info is required. Hope you are fine. did you add any anything else other then required? because I have added it but it is not working, the checkout is still processing without any values added in the fields? What about a custom field based on some shippment methods? Thanks Devin, this does exactly what I need! – When a coupon is applied I need to show the order comments as a required field. – When no coupon is used I want to hide the order comments. The snippet to unset the order_comments is easy to find but when I try that it’s still a required field, so impossible to check out. I assumed hiding meant that the required setting became obsolete automatically. Is there a way to unset order_comments and make it optional at the same time? Any pointers for this scenarion? The code should go in the functions.php file that sits within your child theme, not woocommerce. This plugin may solve the problem easy, it allows you to charge extra fees in cart, based on the combination of multiple conditional rules that you configure in your woocommerce store. I hope it may help! How has nobody taken this code and turned it into a plugin yet? Lol they have, there are a few conditional field plugins out there. Hi! Thank you for this information! Could something like this be used to add a “Would you like to provide a signature upon receiving your package – cost $5” to a shopping cart in WooCommerce? It would need to add the $5 to the total amount the person is purchasing. Thank you! 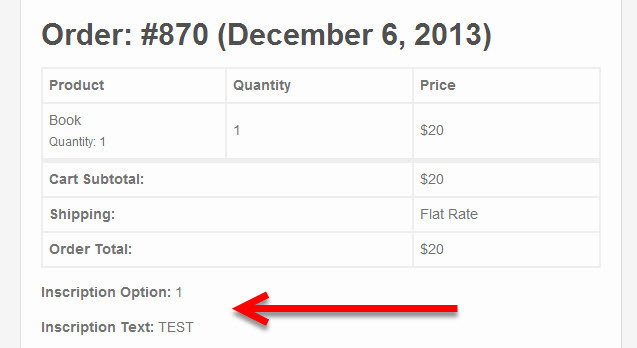 Do you have information on how to change the code to test for category of products instead of single products? Sorry if its simple PHP newbie. I am selling event tickets. I want to collect the event attendees details (Name, Email, Phone) as well. Using WooCommerce, selling the tickets is easy. The problem is, the during checkout, the payment gateway just request for the buyer details only. This is fine if the buyer buys 1 ticket only. The problem is when buyer buys more than 1 ticket. For example, when buyer buys 3 tickets, I want before payment is done, I can collect the attendees name, email and phone based on the quantity of the tickets they choose. The provided jQuery did not work for me.